“Orange is the New Black” alum Ruby Rose has been cast to play Batwoman in both the annual DC superhero crossover event on the CW network, and in a pilot for possible series consideration. CW has confirmed its version of the character will be an out lesbian with “a passion for social justice and a flair for speaking her mind.” She is a “highly trained street fighter primed to snuff out the failing city’s criminal resurgence.” Rose is best known to American TV audiences as Stella on Netflix’s “Orange is the New Black” but was a prominent model and host in her native Australian for several years before that. Rose’s casting comes on the heels of CW casting activist Nicole Maines as the first trans superhero, who is set to join the network’s series “Supergirl” next season. 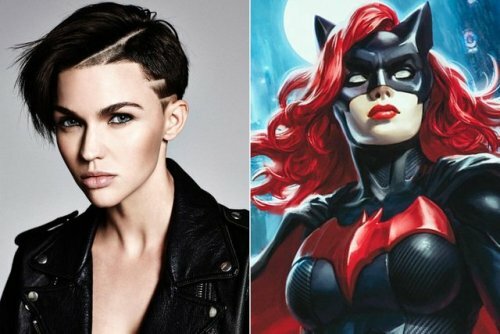 Ruby Rose has been cast as The CW’s Batwoman. Get all the details here.